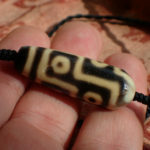 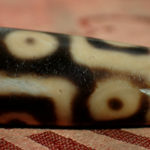 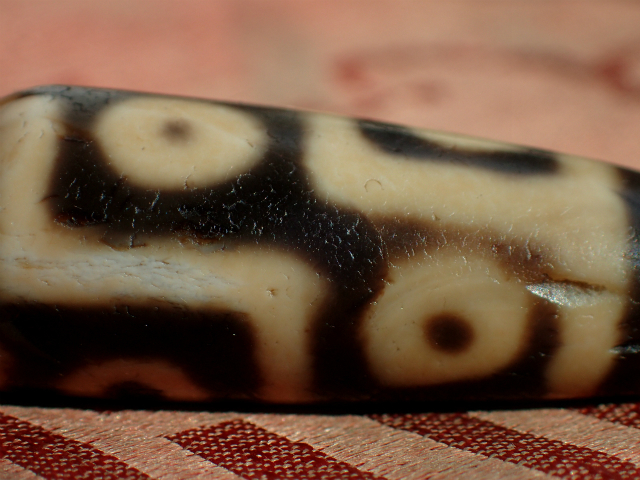 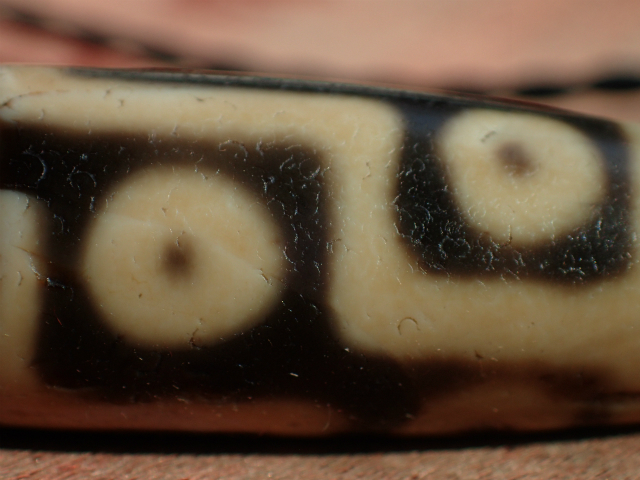 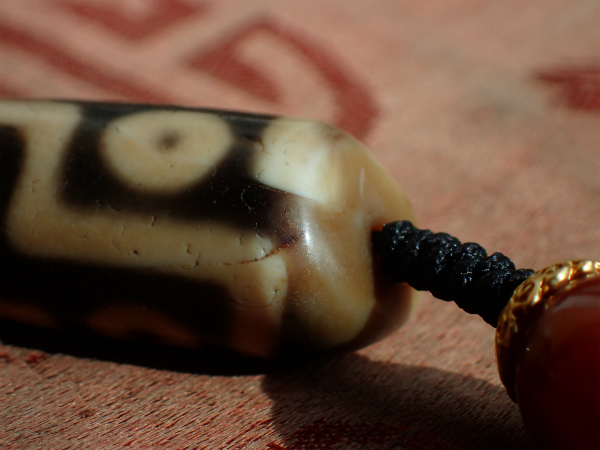 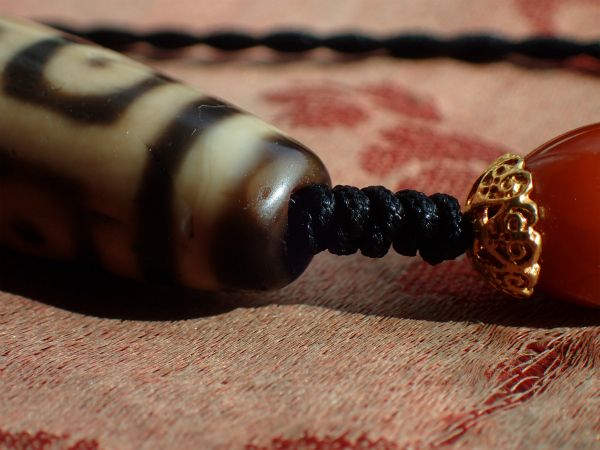 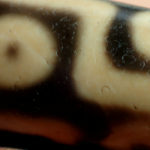 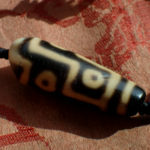 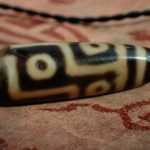 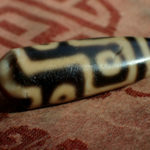 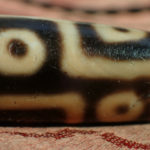 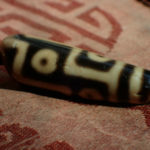 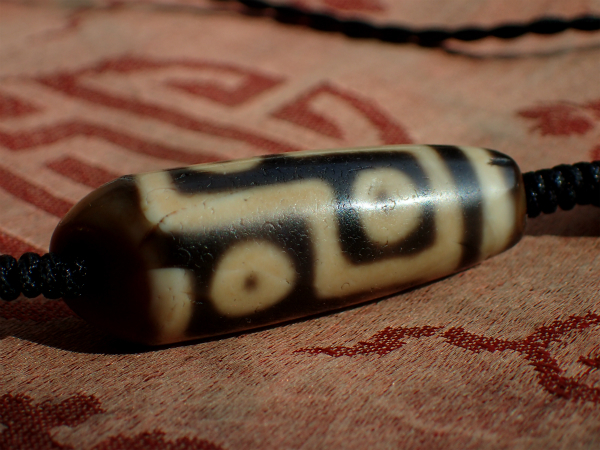 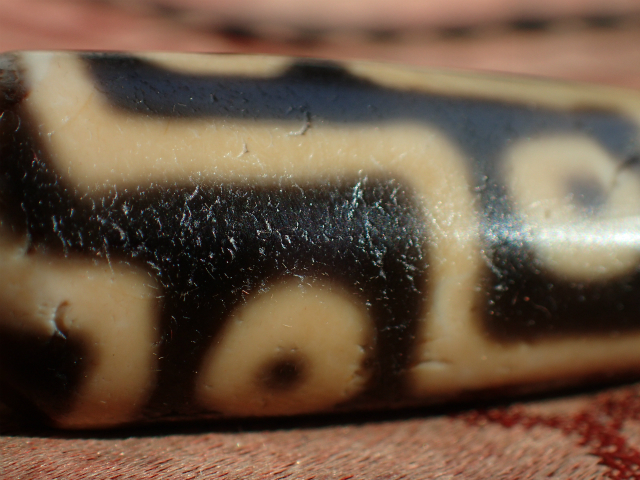 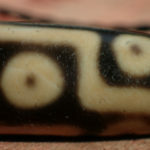 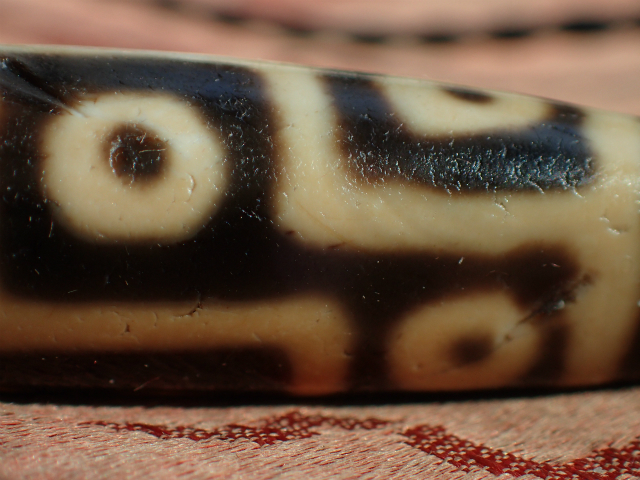 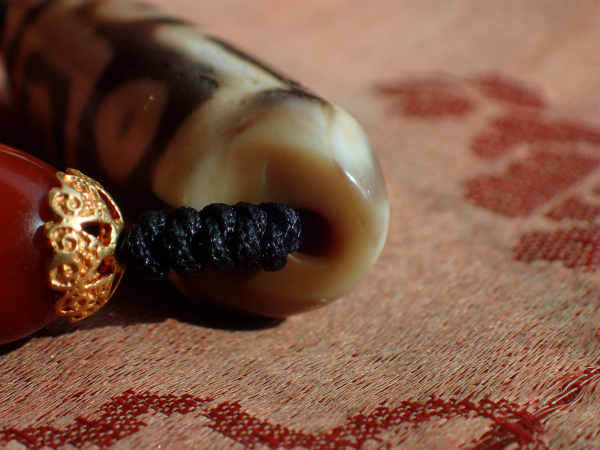 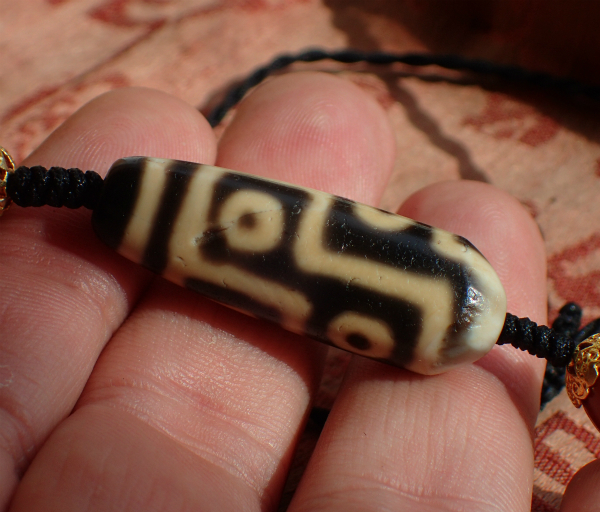 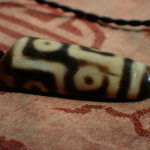 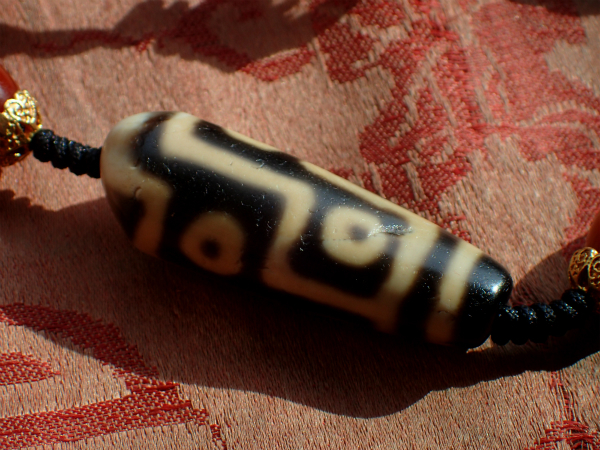 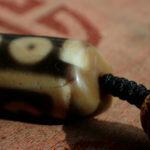 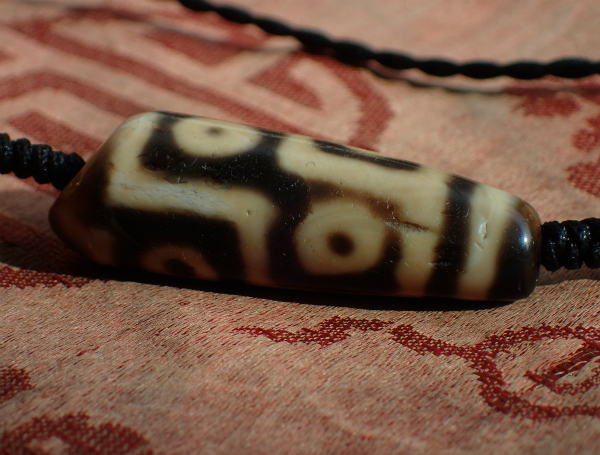 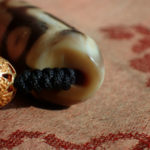 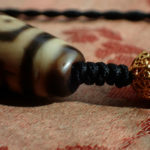 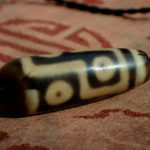 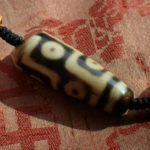 およそ2千年前のAncient Tibetan 12 eye dZi. 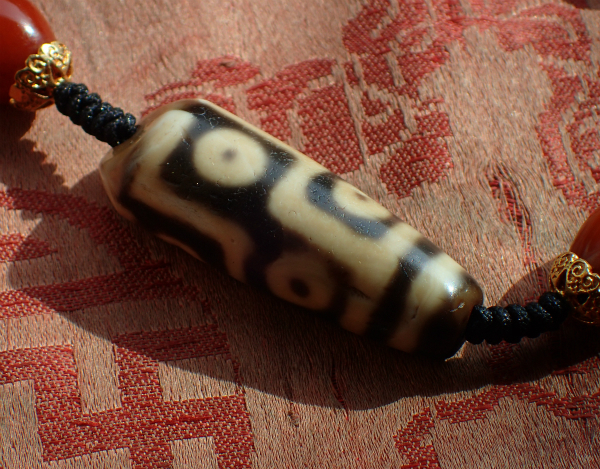 This top quality magnificent broken Ancient Tibetan 12 eyes dZi comes from Bhutan where it was handed down from generation to generation. 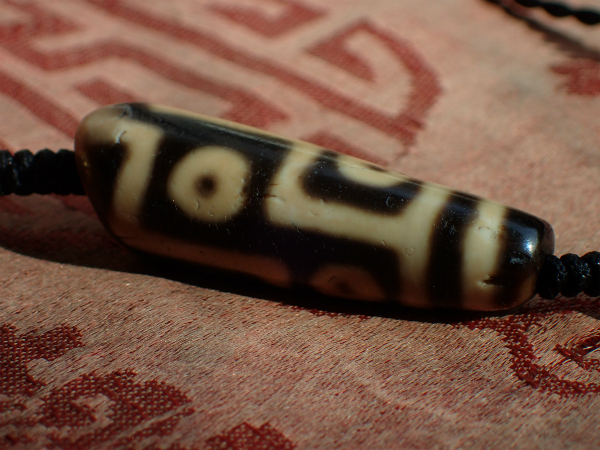 It still retains 6 eyes and size is still very large. 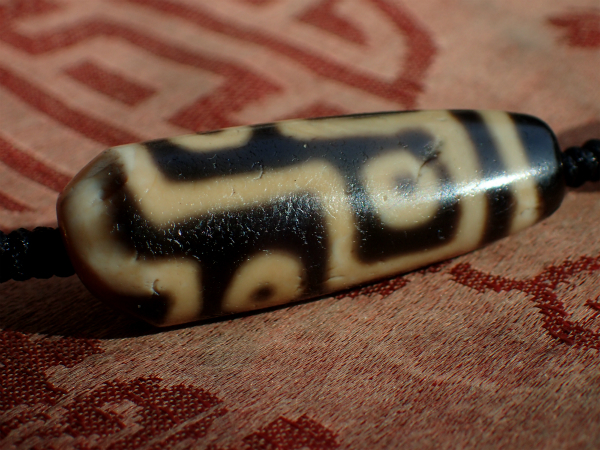 length being 37.6mm and 13.2mm in thickness. 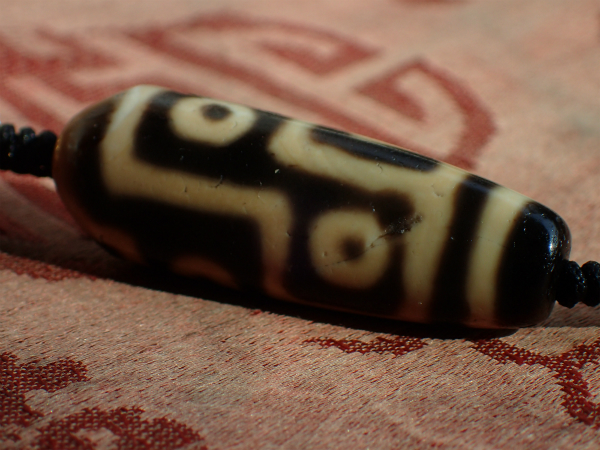 The Black and Ivory color contrast is very strong and beautiful. 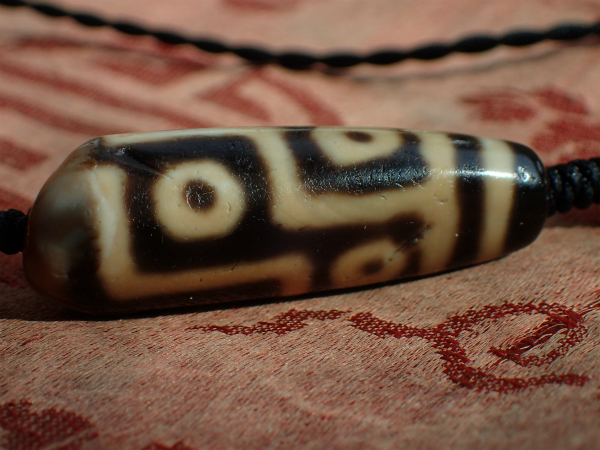 the stone quality is superb and robust. 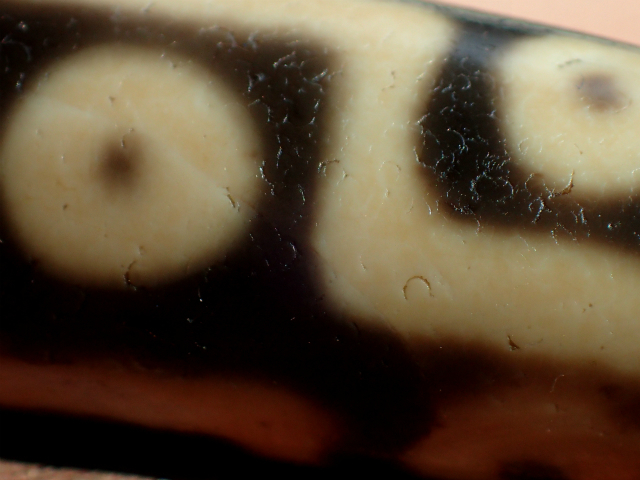 the surface is very smooth with oily skin. 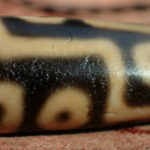 many weathering marks can be seen too.